Caroline Mani began racing in France in 2004, but not on a road bike. She raced on her mountain bike. When her friend beat her during on a cyclocross bicycle, Caroline immediately went out and got herself one. 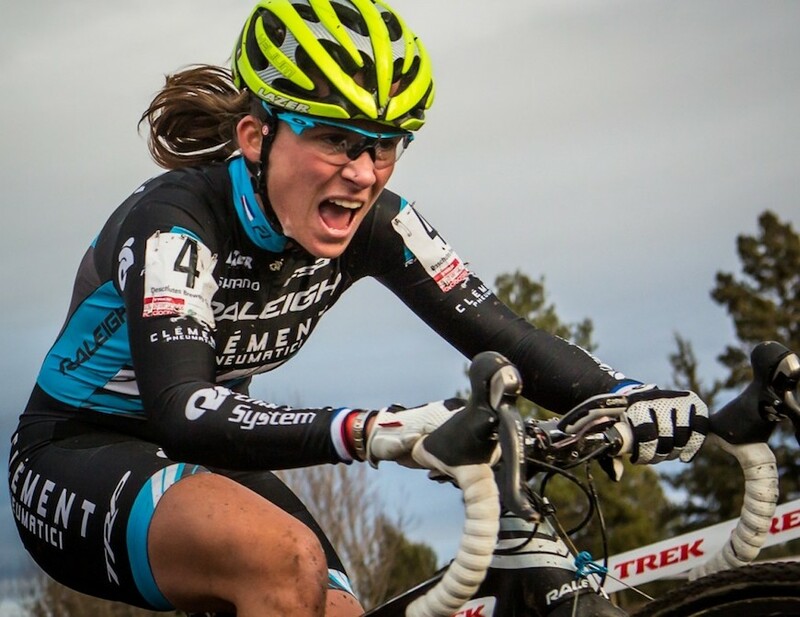 Now she is a professional cyclocross racer for Raleigh-Clement and is stoked to start the season in September. As a premier woman athlete in the sport, she took some time to answer some questions about getting chicks into biking. Do you have any suggestions for girls trying to get into cyclocross? I think a cyclocross bike is a great option. It is expensive to ride bikes and many people don’t want to, or can’t spend the money on multiple bikes. 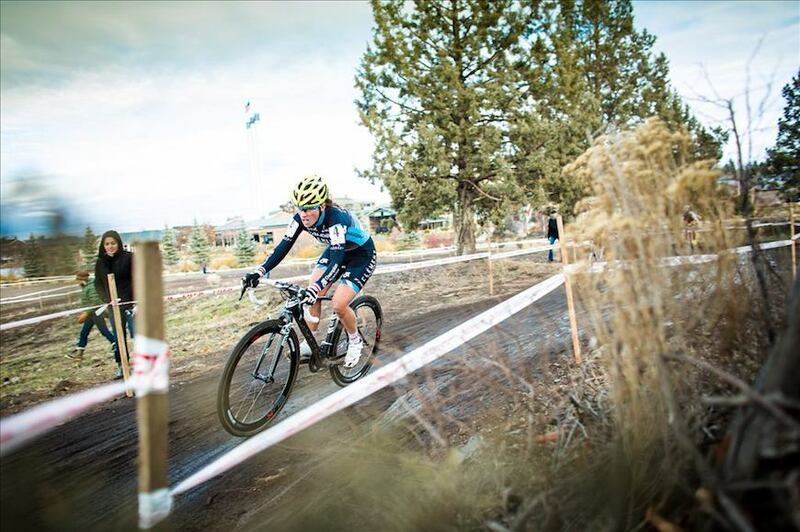 If you buy a cyclocross bike, you can use it on the road with road tires or you can use it as a commuter bike. [Cyclocross] is a difficult sport, but people are really supportive of each other. The races are so much fun and the ambiance is amazing; it is like a big party. I realized how much fun it was during my first World Championship. There were 75,000 people watching, yelling and cheering for all the racers. A lot of people are starting clinics to allow people to discover the sport. Raleigh does an amazing job with its demo trucks. You can now try cyclocross bikes almost anywhere. What kind of barriers do you see women facing when trying to break into biking? Most of the women are “afraid” of riding bikes because they don’t want to go alone. They would prefer to ride with friends and other girls. But, when you find friends and people of your skill level to ride with, I think you’re almost over the barrier. If you have the opportunity to meet a woman on a bike, exchange phone numbers and stay in touch! Social media is a great tool to find fellow riders; you just have to look and ask around you. Also, a lot of brands are doing an awesome job developing special bikes for women. Raleigh is one example and it is just the beginning. I’m really excited and proud to be a part of that. You can find everything for women now! It is really nice because you can enjoy riding, have the right gear and look good on your bike. We’ve noticed that a lot of women focus on racing first and foremost. Do you think that is a good idea? I’m not an advocate of focusing only on racing. I think it is really important to finish school and have a professional career goal. Of course, you can try to be a pro racer and do it for years, but it is really important to make sure you will have something after that. I went to University for business in France and just graduated this year. I really wanted to finish school before I focused on racing. You’re from France, but live in Colorado – did the French bike culture influence you at all? What do you see as the main difference between the two cultures? The French bike culture didn’t really influence me. Nobody in my family had ever ridden a bike before my racing career. But yes, the bike cultures are so different. When racing in America, the community seems like a big family. The racers from Raleigh can go talk to other racers from another brand and there is no rivalry there. In Europe, it is a little stricter and less convivial. You’ve been a sponsored athlete with Raleigh for a while now, what is your all-time favorite Raleigh bike? Ah, this is such a hard question. I love all my Raleigh bikes! I would say I mostly ride my road bike, the Militus 3. It is an amazing bike – super fast, stiff, responsive and is great looking. But, I also love my Talus 29er mountain bike. I raced it a lot this year and I’m amazed how great it is. And of course, I love my babies – the CX pro bikes! When I ride these bikes, it is like I’m on fire and ready to kill it! 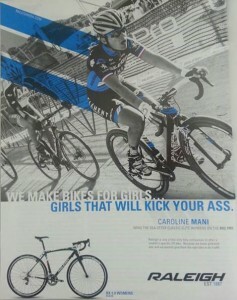 Follow Caroline Mani’s cyclocross season on her Twitter.